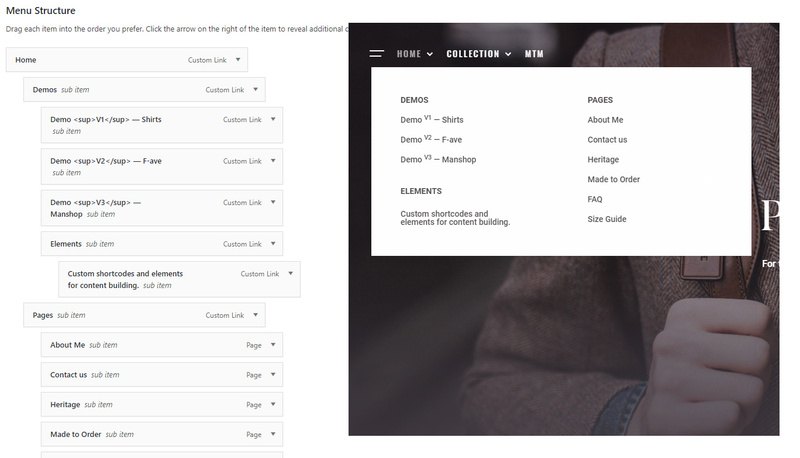 By selecting the Appearance > Menus option from the left WordPress admin sidebar, you can manage & create your sites menus and menu items, and select where certain menus are shown. – Enter a name for the menu, this can be anything e.g “Header Menu”, “Footer Menu”, “Mobile Menu”. Once you’ve created your menu, you need to assign it to the menu location which you would like to use it for. Simply check a checkbox below in the Menu Settings Display Location just below your menu. You can for example create one menu and use it for both desktop and mobile headers. Please note that your main desktop menu can be Header menu left or Header menu right it depends on your header layout. To make menu multi-column you need to check Multicolumn Menu checkbox for the parent menu item. After that you need to make a proper hierarchy. Please refer to the image below. Each child creates a new column. Each child of child create column below the parent child. As you can see from the image parent elements are bold and uppercase. 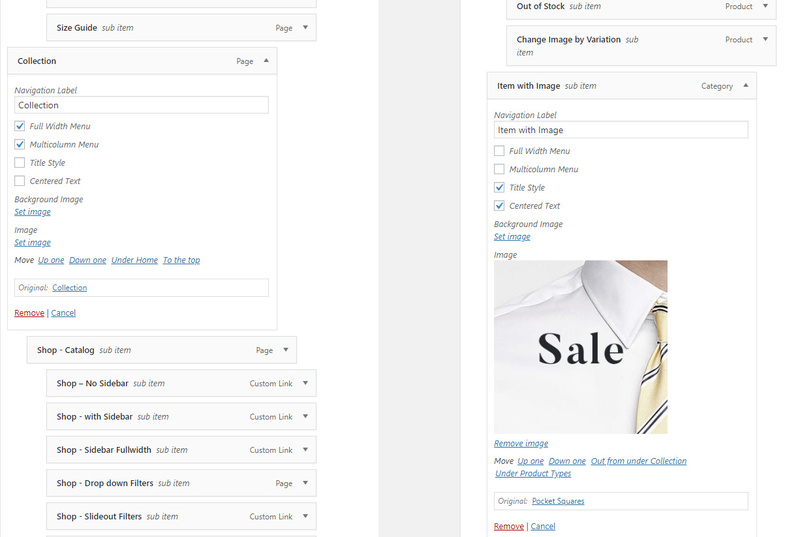 To make your link the same way you need to check Title Style checkbox for desired item. 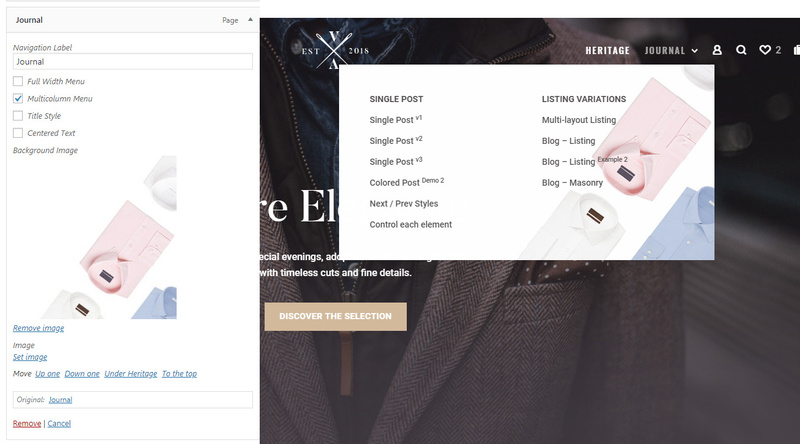 To make menu fullwidth you need to check both Multicolumn Menu and Full Width Menu checkboxes for the parent menu item. The default full width menu will use 5 columns. To add image to menu item simply click set image for image option on desired menu item. You can also add image to the menu background by clicking set image for Background image option in menu item. it will be placed to the right bottom corner of the menu drop down.